The program runs for approximately 4-11 weeks, 3-5 days a week, usually from 9:00 a.m. to 3:00 p.m. Two programs run each year, typically for fall and spring semesters. Orientations are held to assess students and refer them to a training program based on their assessment. Students must have a certain understanding of the English language to be able to go through the program and be placed. 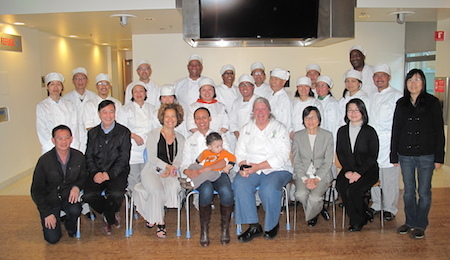 This program is funded through San Francisco Office of Economic and Workforce Development’s Hospitality Initiative. Self-Help for the Elderly has partnered with City College of San Francisco to conduct the training. Self-Help recruits participants, provides case management and job readiness training, and places graduates in jobs at the end of the program. All classes take place at City College of San Francisco’s Chinatown North Beach Campus. To join the next semester as a culinary student, contact us today!